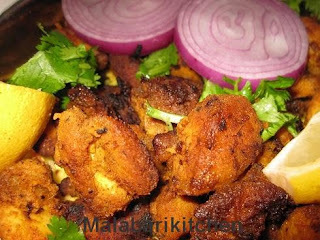 Chicken can be fried in different styles and the taste depends on the masala that is being put. 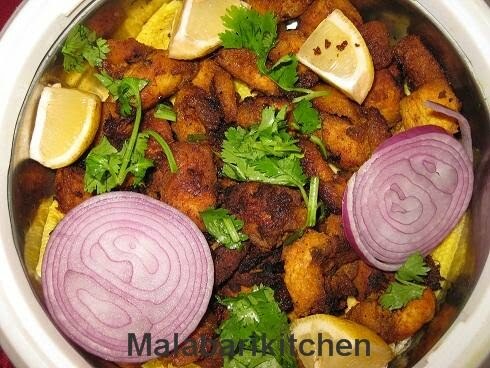 The below preparation is a dry dish that can be served in any non veg party. =►Clean the chicken and cut into small pieces. =►Add chicken into the above mixture, mix well and keep aside for 1hr. 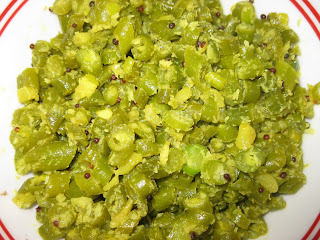 =►Add curry leaves before removing fried pieces from pan and sauté it one more min. =►Once it is ready garnish with onion slices, cilantro and lemon pieces. 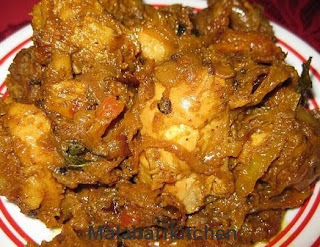 Note: If you are not in a hurry and have time, you can put the chicken mixed in the masala mixture in refrigerator for overnight. It will increase the taste.